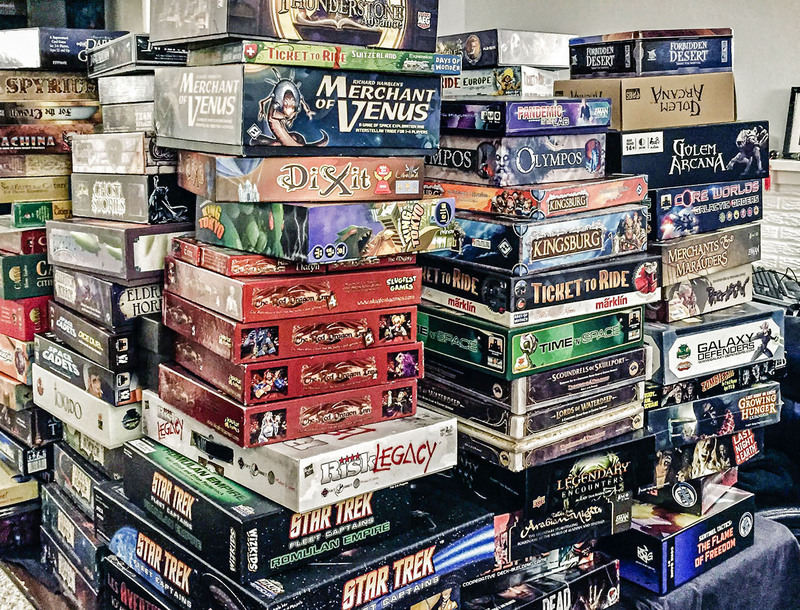 I’ll be up to my armpits in board games this weekend, attending one of the Bay Area’s best tabletop gaming conventions, Kublacon, held at the San Francisco Airport Hyatt. I’ve been attending this particular con for more years than I care to recount. My two daughters took part in the Kublacon Kids room since they were each five years old, which likely helped shape their interest in gaming. In fact, my younger daughter, Emily, is going to Kublacon with me this year. As always, the age old question is: what snacks to bring. Time Stories — story based, co-operative game, where your band of time agents work together to prevent a tragedy. Millennium Blades — a board game about collectible card games. It sounds very meta, but looks pretty cool. Xia: Legends of a Drift System — an open, space exploration game where you can be a peaceful merchant or pitrate. Steam Time — Steampunk themed game where plucky explorers find hidden threats in the dark corners of the world. Blood Rage — Vikings on the rampage, trying to accumlate as much glory as possible before Ragnarok. Nova Cry — Card-driven game of space conquest. I’m also debating whether or not to bring along my bulky collection of X-Wing Miniatures. I’m unlikely to play in any tournaments, but several friends have expressed interest. I’m also taking a truckload (almost literally) of titles to sell at the late Friday flea market. Oh, yeah, and the snacks question: this year, I’m making my own trail mix, trying to avoid oily chips and fat-laden crackers. The hotel always puts out a spread of quick meals for the gaming crowd, but it’s generally pretty average fare. The actual restaurant offers some salads, at least. The Hyatt used to have a pretty nifty grab-and-go cafe, but closed it last year to my great sadness. At any rate, should you drop into the con, look me up. If I’m not already involved in a game, I’ll be happy to fire up one of my games, or one of the many in the con library. See you there! With my own daughter, well… not in tow, at 15 she’s much too old for that!